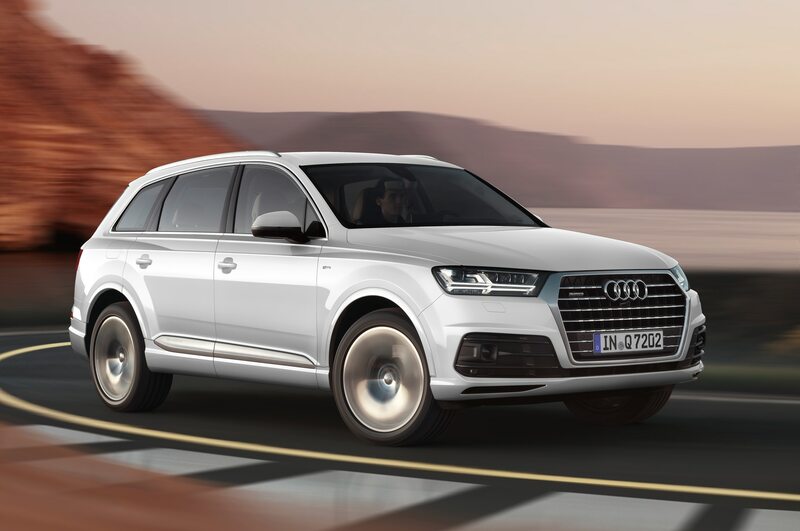 The 2017 Audi Q7 will gain a 2.0-liter turbo-four early next year, adding a second engine to its lineup and significantly lowering the price of entry for the three-row luxury crossover. 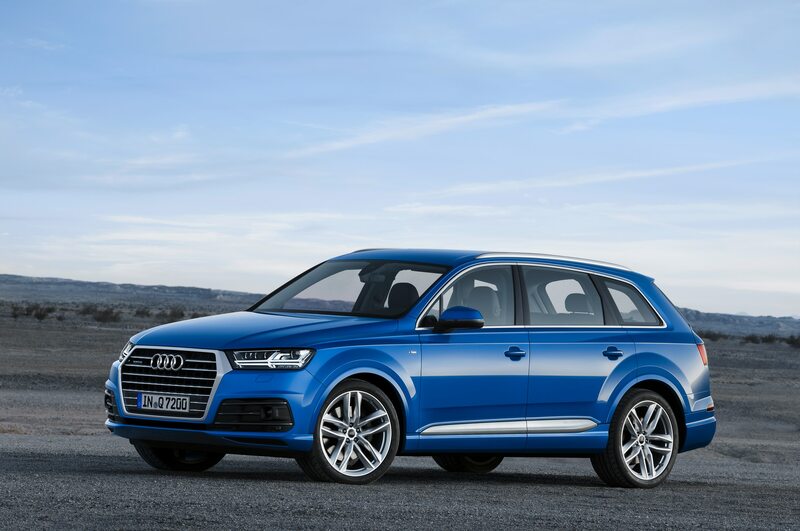 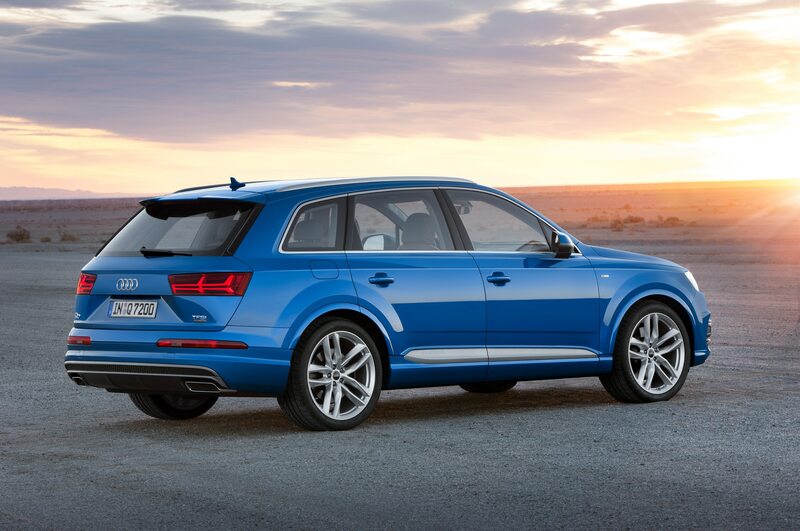 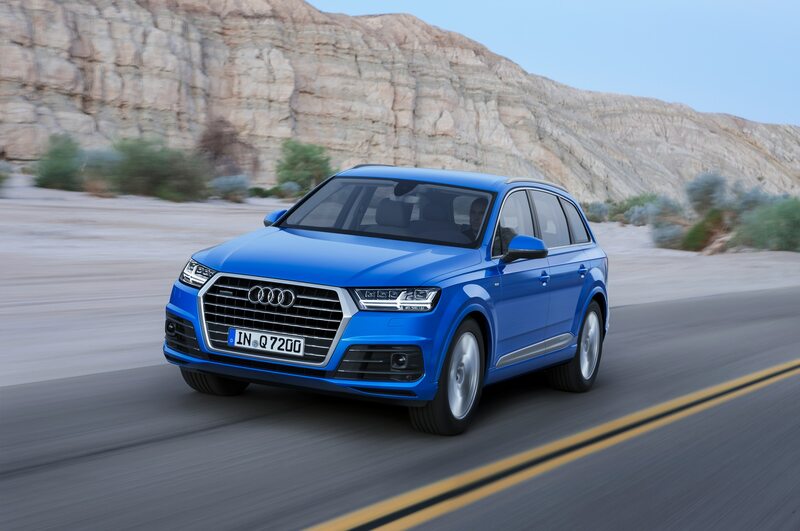 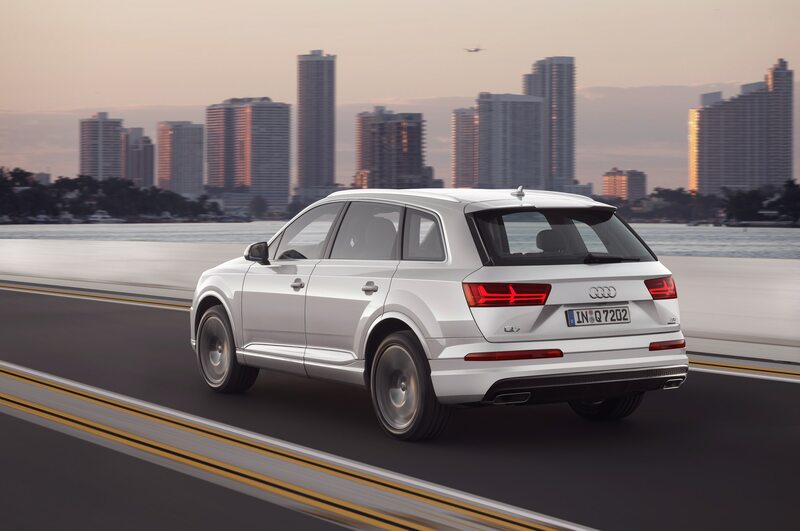 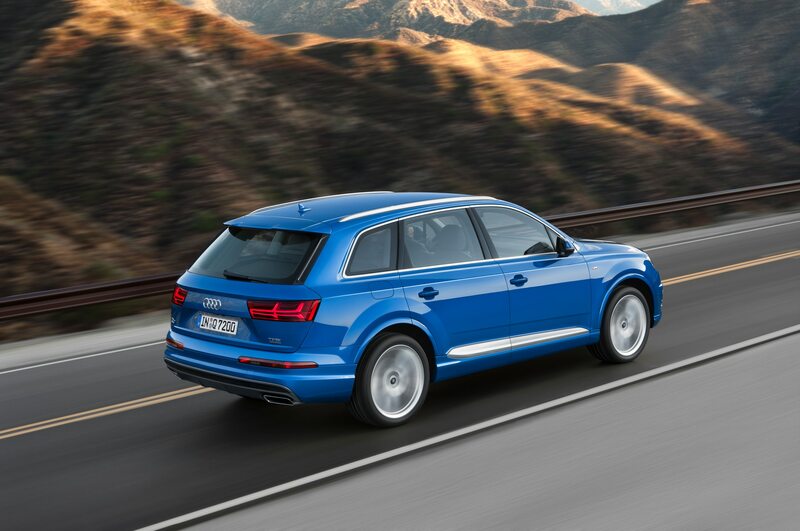 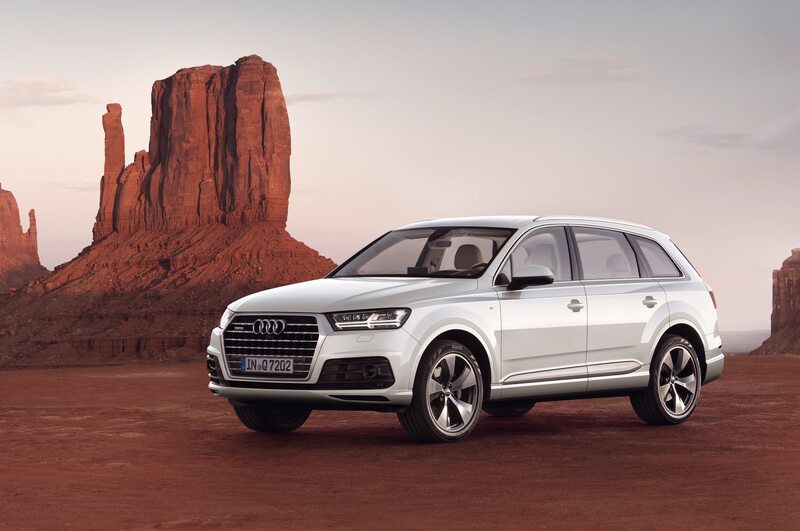 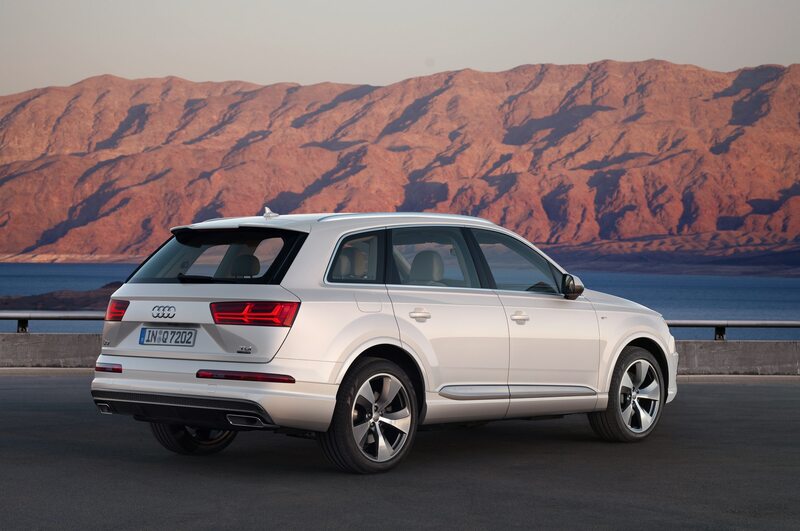 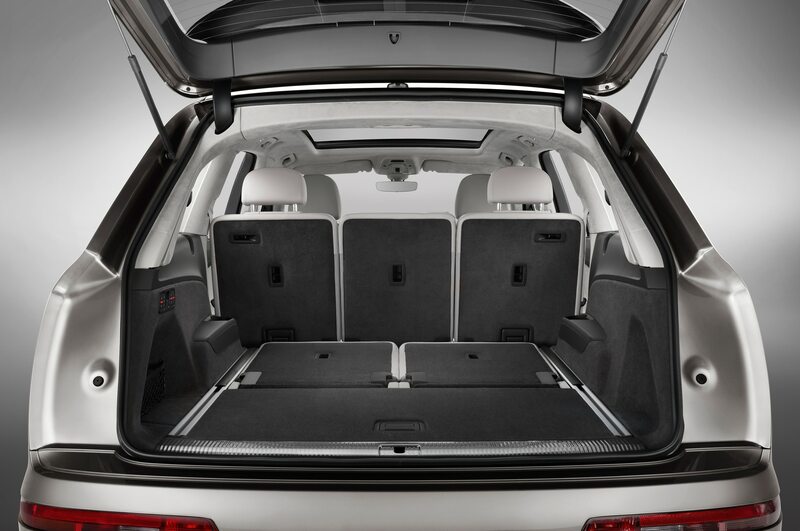 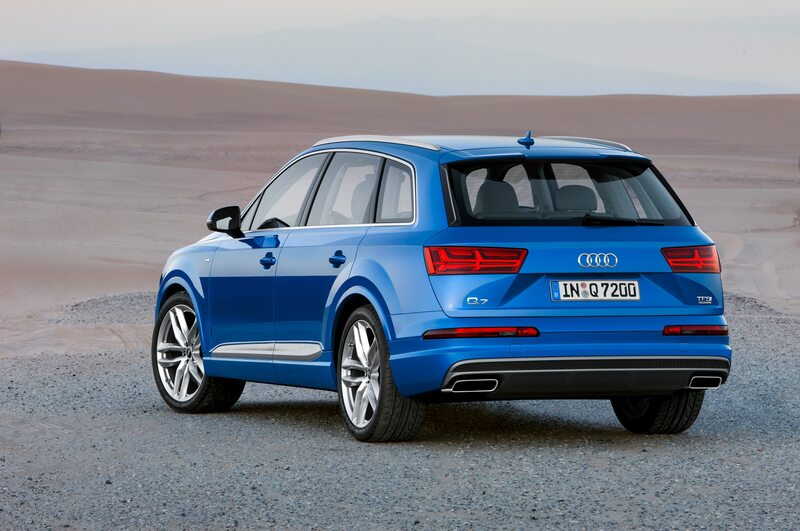 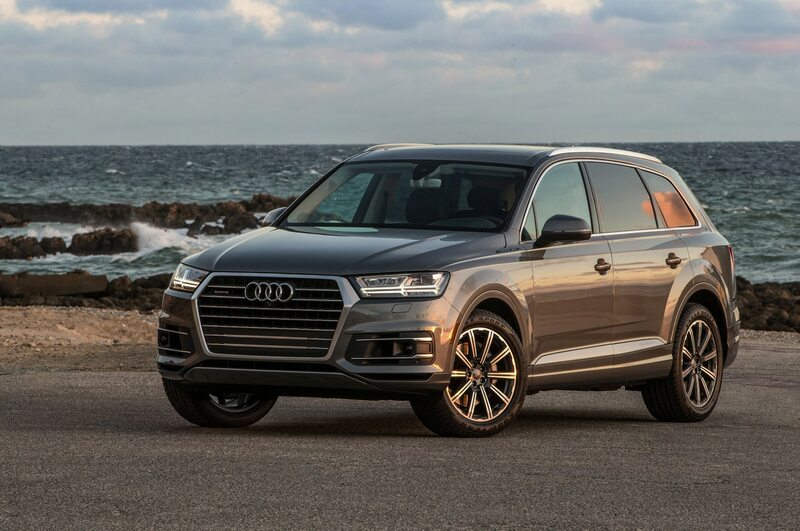 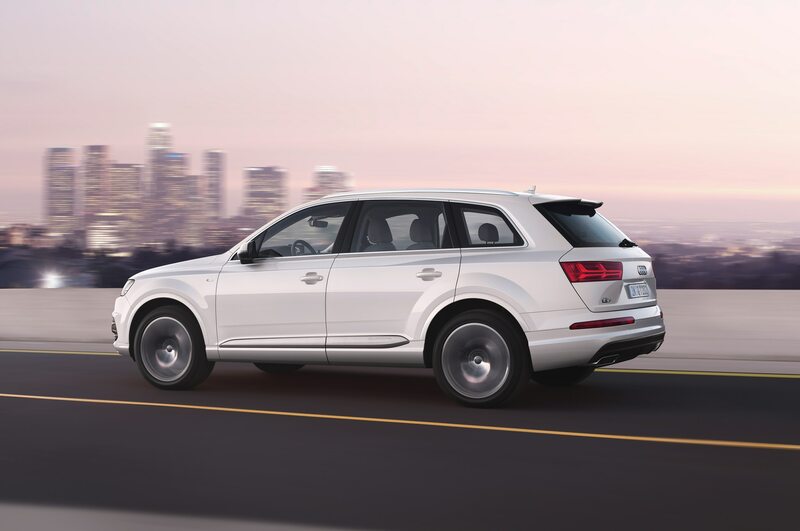 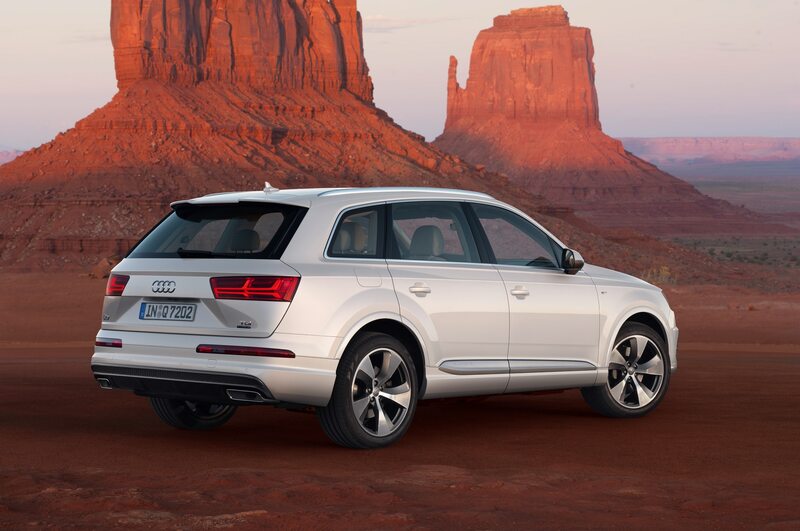 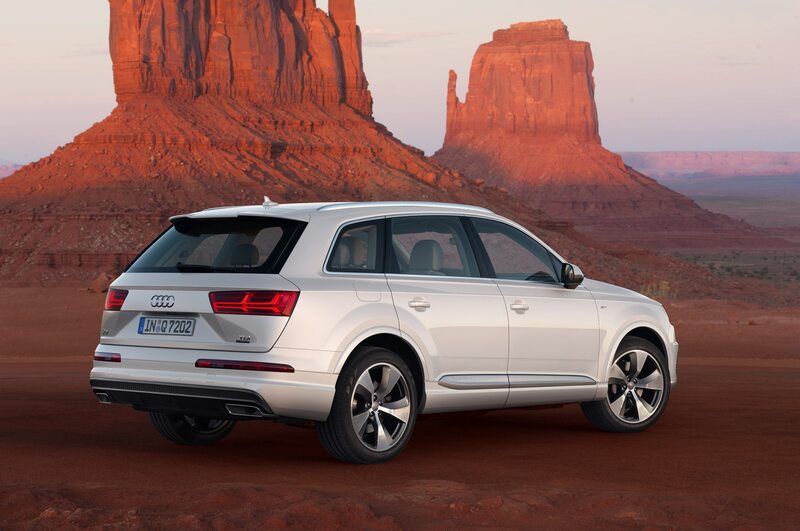 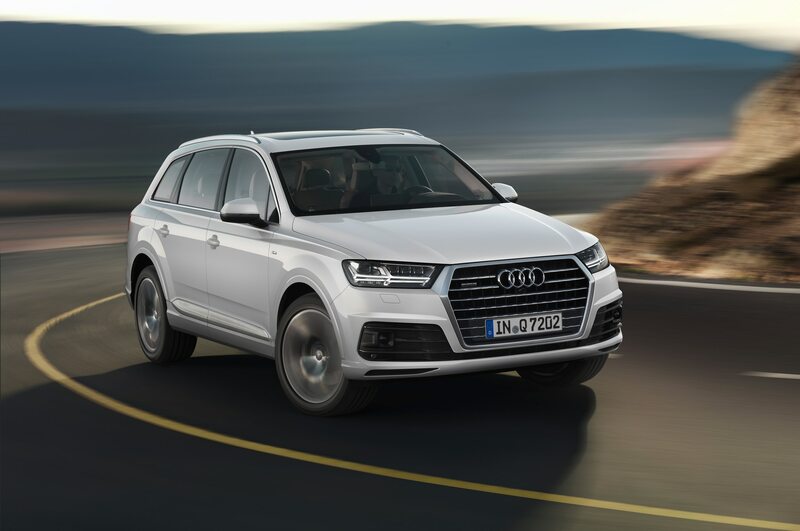 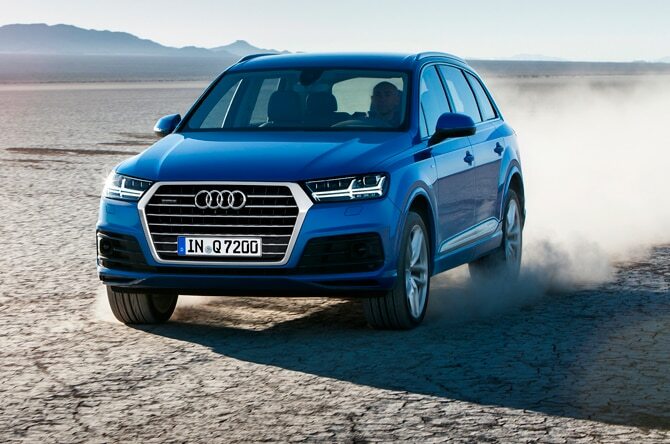 Already featured in other Audi models, the 2.0-liter turbocharged I-4 will make 252 hp and 273 lb-ft in the 2017 Q7. 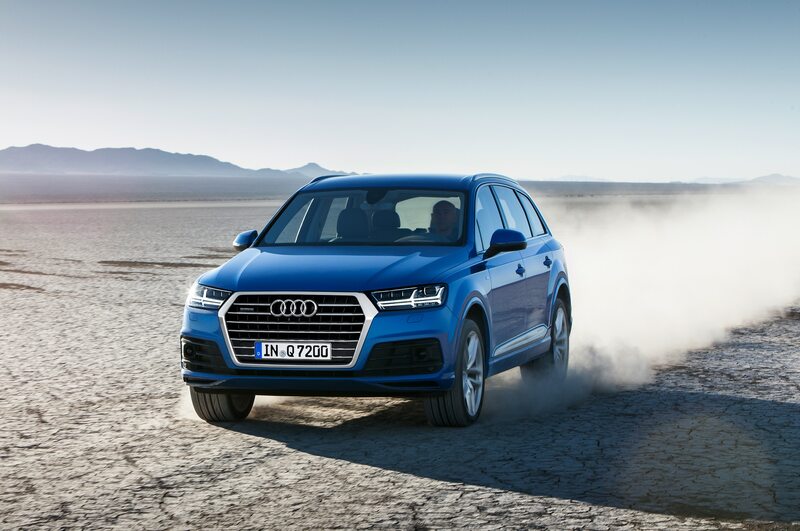 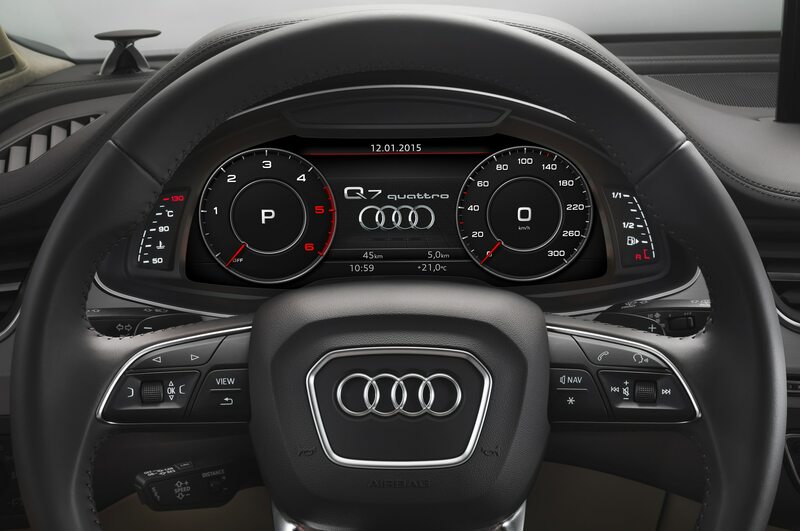 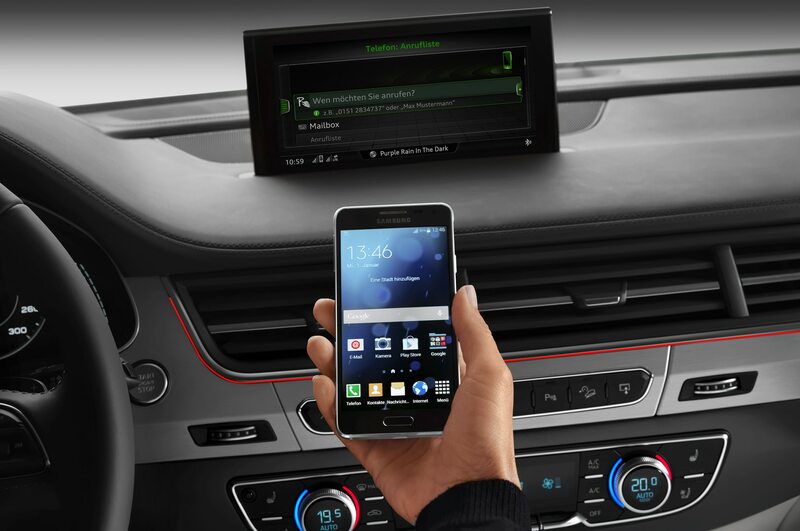 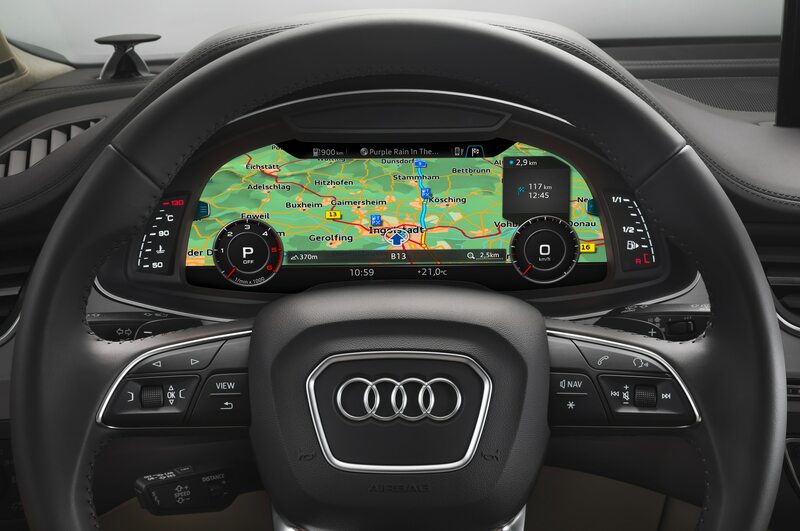 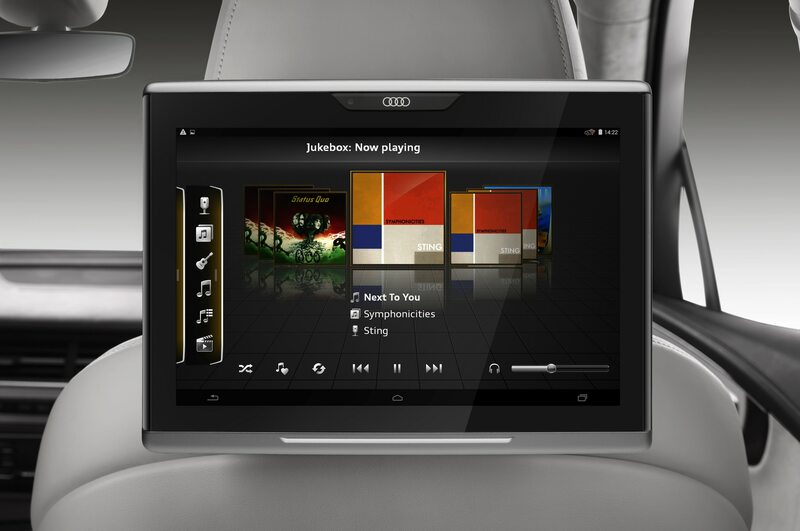 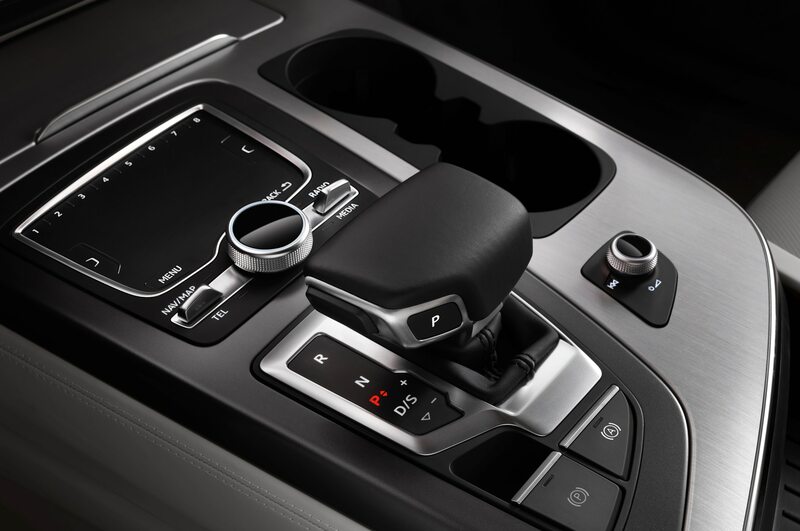 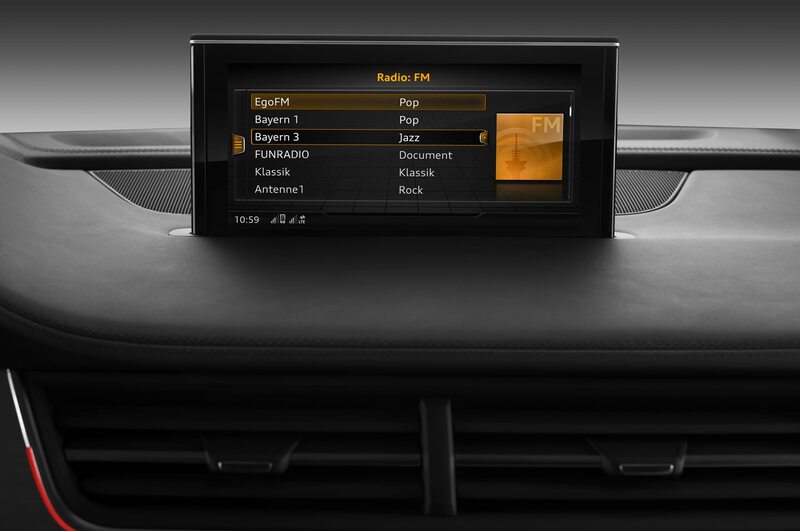 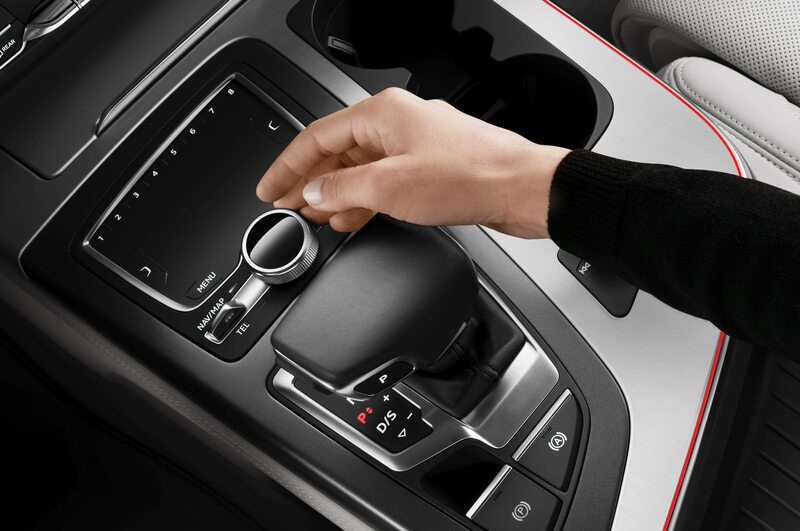 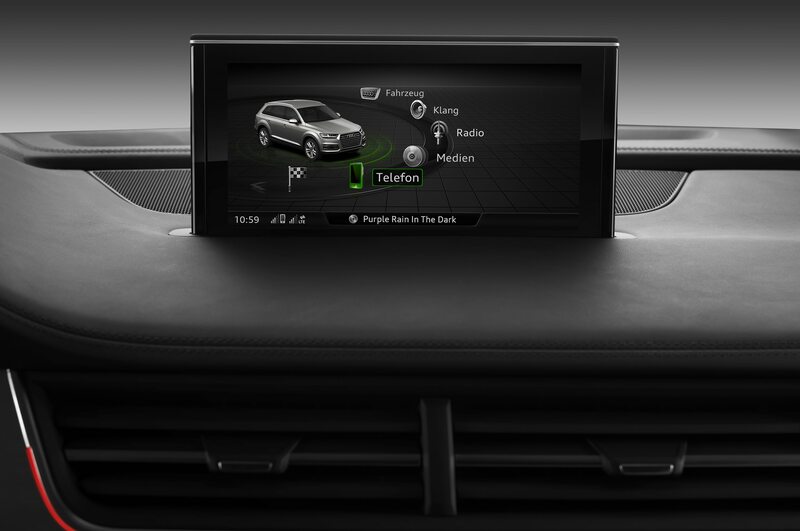 It’ll be mated to an eight-speed automatic with standard Quattro all-wheel drive. 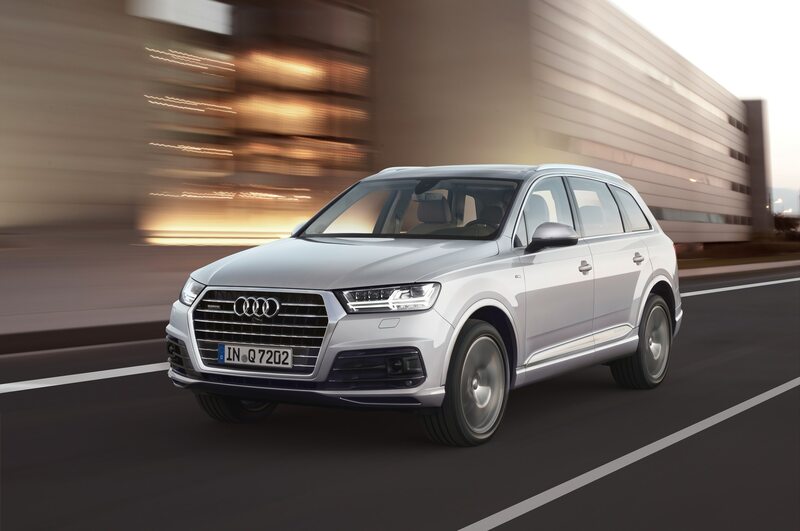 This will be the first time a four-cylinder has been offered for the Q7 and Audi claims it’ll be half a second quicker to 60 mph than the previous-generation base model Q7. 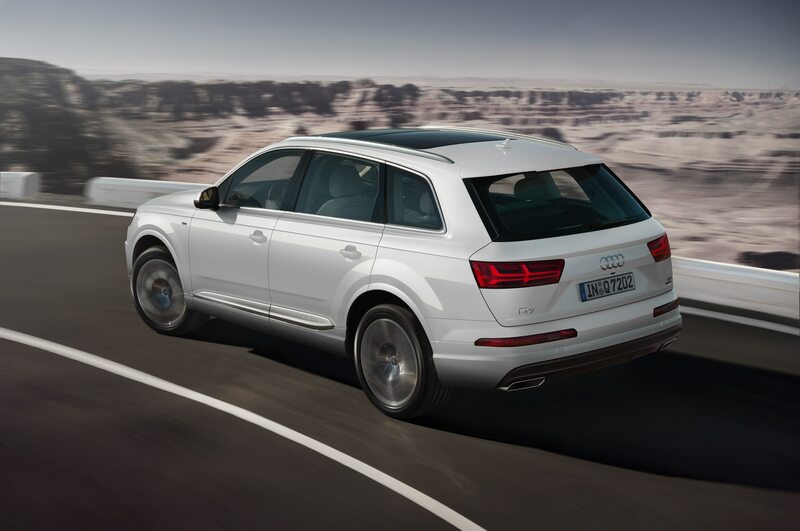 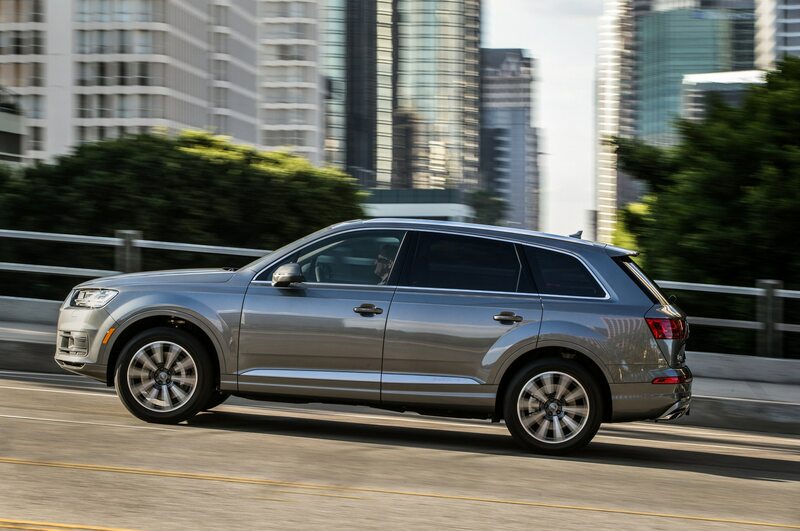 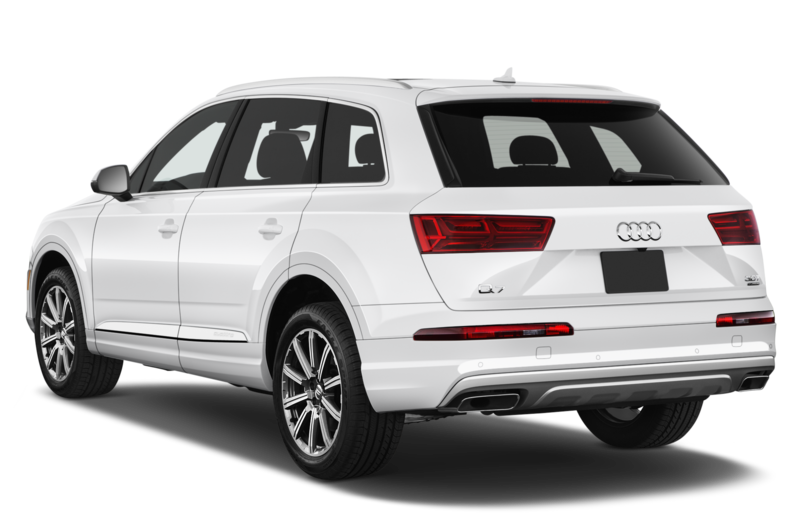 That Q7 was powered by a 3.0-liter supercharged V-6 making 280 hp and 295 lb-ft and ran from 0-60 mph in an estimated 7.7 seconds. 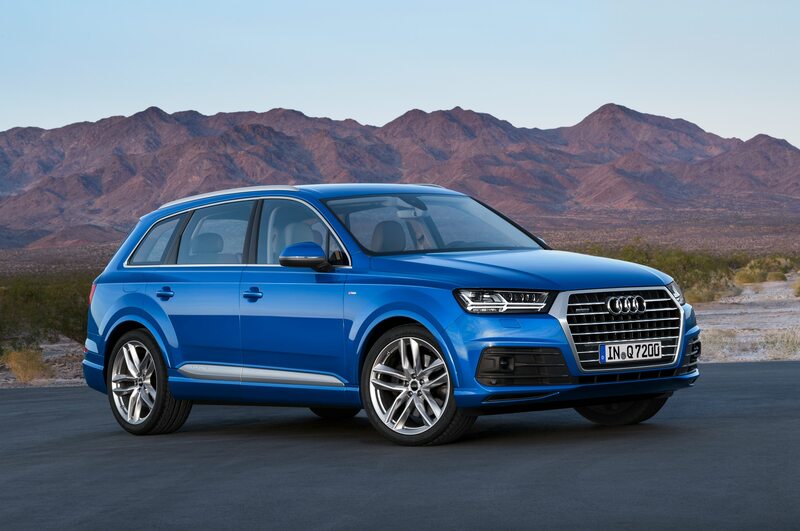 Audi says it’ll be more fuel-efficient as well, with an EPA-estimated 22 mpg combined, compared to 18 mpg combined for the last-gen base Q7 (official EPA numbers to come later). 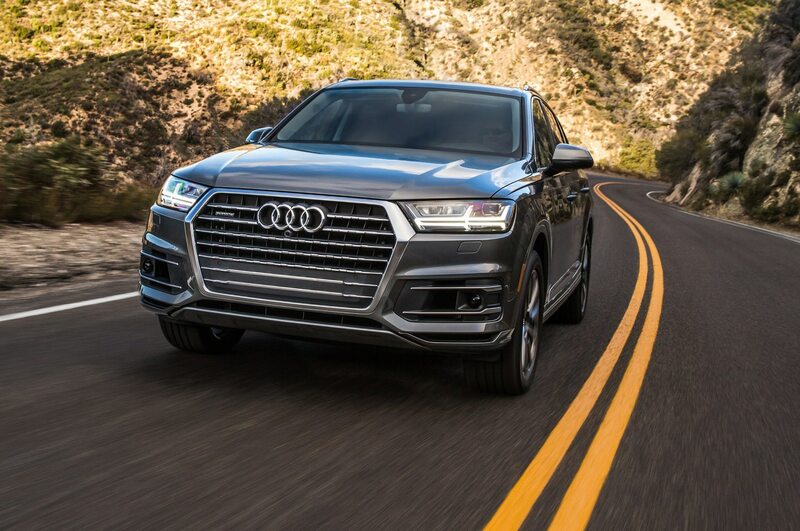 Additionally, the Q7 2.0T will be significantly less expensive than the Q7 3.0T Quattro, which features a supercharged 3.0-liter V-6 (333 hp and 325 lb-ft). 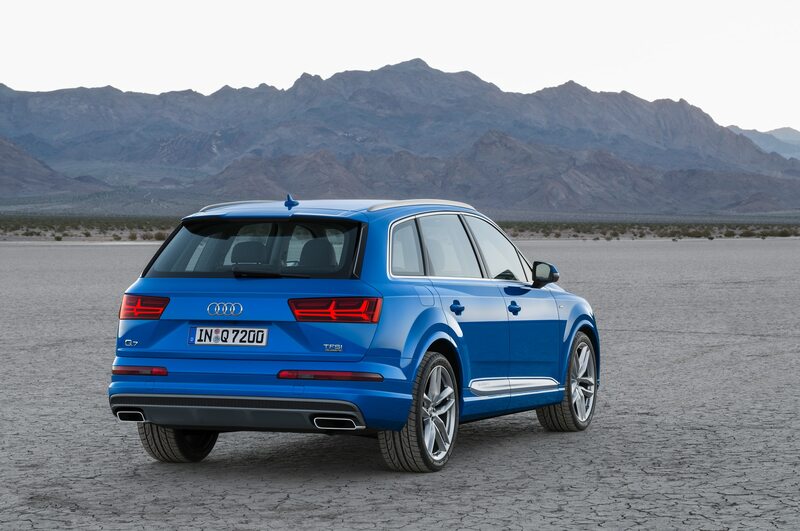 Audi says the Q7 2.0T will start at $49,950 (including destination), which is $5,800 less than the Q7 3.0T. 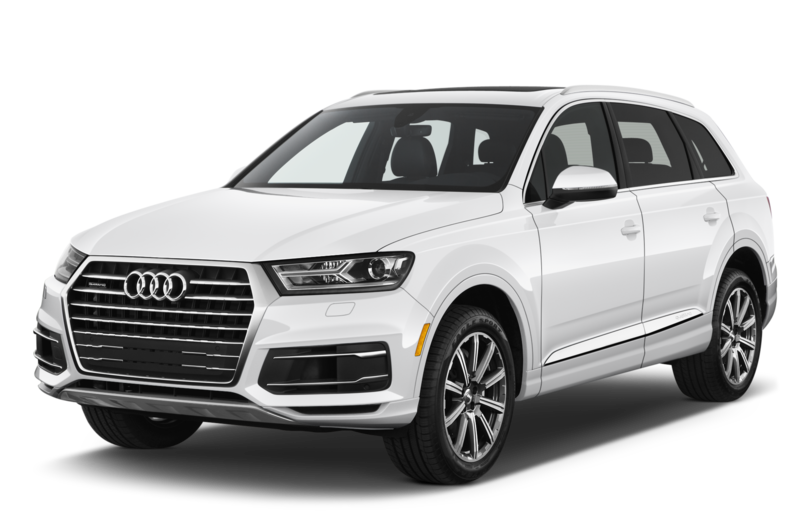 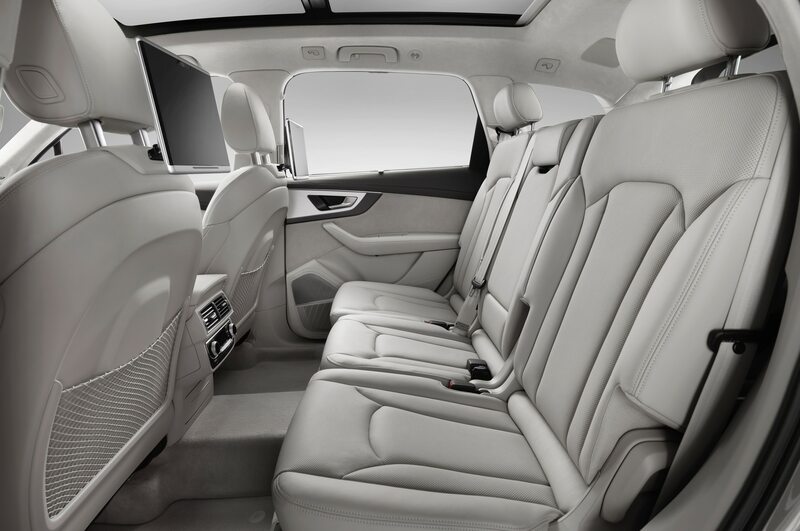 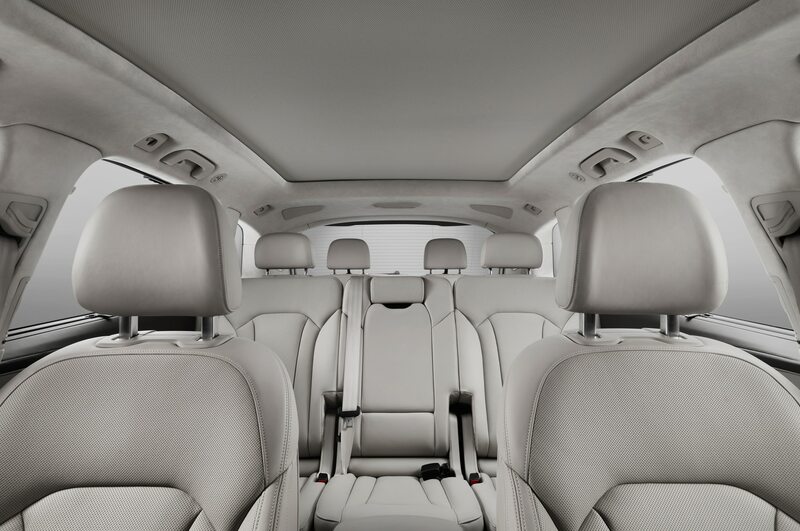 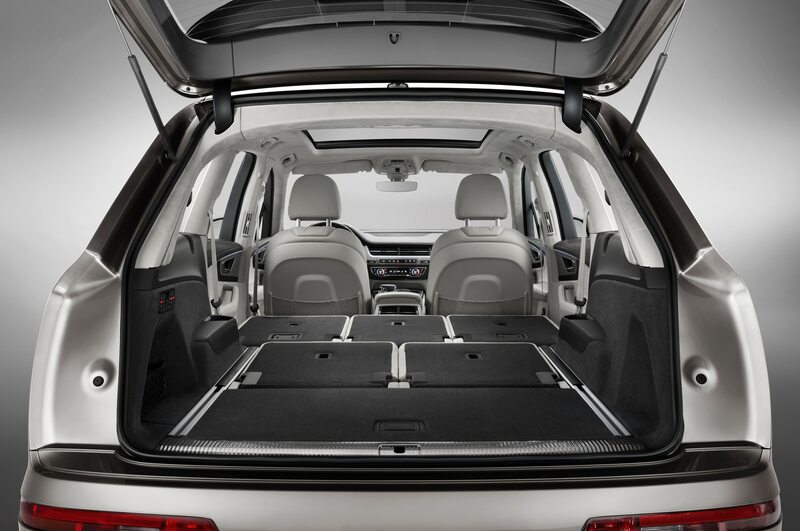 That also undercuts many of its three-row competitors, including the cheapest BMW X5 with third row option ($59,645) and Mercedes-Benz GLS ($68,700), though it’s still more expensive than the popular Infiniti QX60 ($45,895). 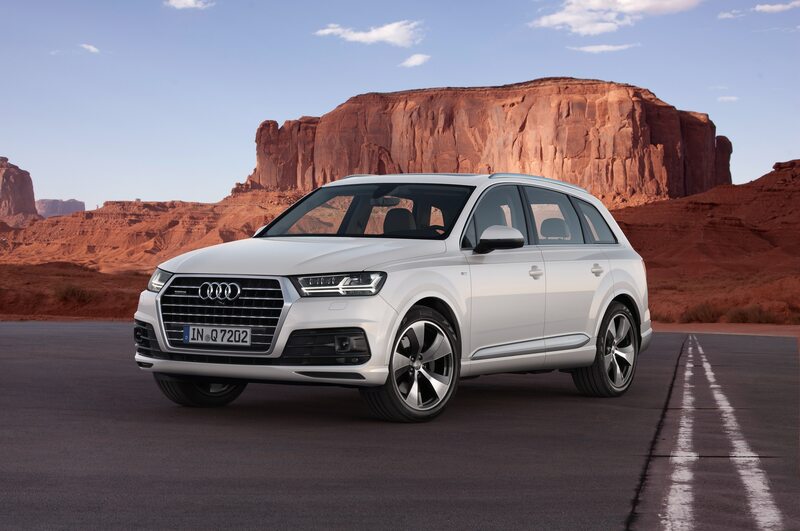 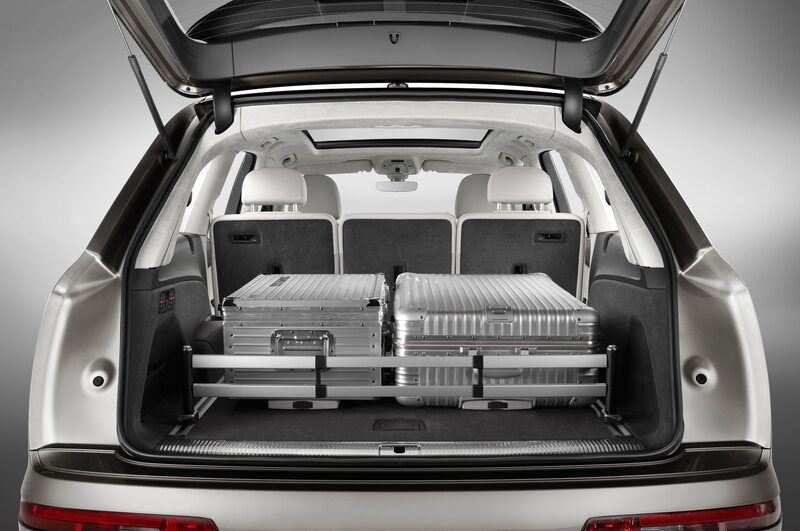 Audi says the 2017 Q7 2.0T will reach showrooms early next year and will offer most of the same standard and optional equipment found in the Q7 3.0T. 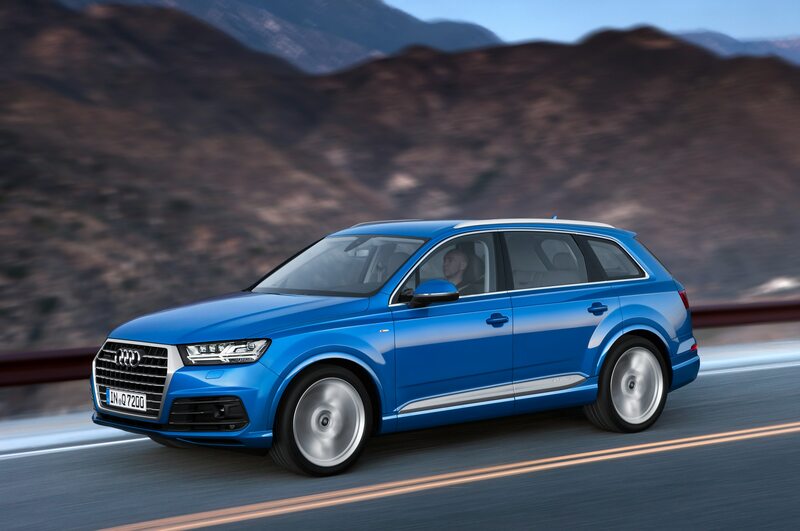 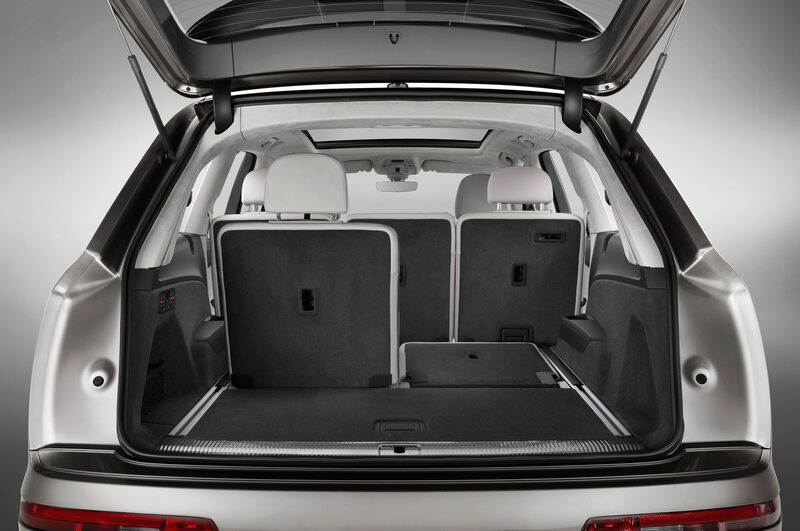 Photos are of the 2017 Audi Q7 3.oT Quattro.